Determining the exact cause of a CAN problem is not at all simple. Is the problem in hardware or software? Is the problem on the circuit board or on the CAN network wiring? Sometimes the problem may not be at the module level – perhaps the cause is up at the system level. 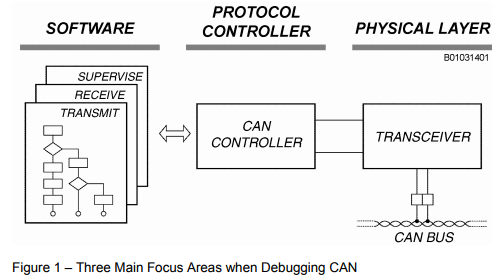 This application note discusses methods used to investigate serveral of the more common CAN Physical Layer problems typically encountered when debugging high-speed CAN. This entry was posted on Sunday, September 10th, 2017 at 1:00 pm	and is filed under app notes. You can follow any responses to this entry through the RSS 2.0 feed. You can skip to the end and leave a response. Pinging is currently not allowed.